Meet Jennifer Bezdek, lover of all thing’s dough (bread not the “play” kind). At Tulla Patisserie & Cafe, Jennifer’s day begins around 4:00 am when she begins to prepare made-from-scratch bakery delights from her neighborhood bakery. Like many entrepreneurs, Jennifer first spent years climbing the corporate ladder. Doing the daily grind day in and day out for years, she decided it was no longer right for her and left it all behind in 2016 to pursue a passion for food, becoming an artisan bread maker. As we shared lattes in Tulla’s cafe dining area, Jennifer describes taking the leap to start her own business. I always wanted to be my own boss and in control of my own decisions, so combining that with a love of creating specialty breads is like a dream come true. She studied for two years at the Bakery Institute in San Francisco; the only school in the United States dedicated to Artisan bread making. At first, she just wanted to learn about bread and pastry-making techniques, and the importance of quality ingredients in baking. During this time, as part of her research, she also traveled around the United States, South Korea, and Europe. She took baking classes, sought out the best bakeries, and observed other bakers, taking note of their style and technique. Jennifer’s home was in Colleyville for many years but she became familiar with Frisco while traveling to and from her kids’ soccer games. Her attraction to the area’s growth and lifestyle piqued her interest, as well as the apparent opportunity for small business owners. Four years ago, Jennifer and her family made the move to Frisco. With Tulla developing in her heart, it was finally time to take the next step. It was important to Jennifer that her business be close to home, so when the retail unit at Teel and Eldorado became available, it was clearly the right time and place. Supportive of her venture, the owner of the Bakery Institute where she had studied consulted on the layout and design of Tulla, helping to bring a European vibe to the café. Guests can’t help but get lost in the Paris theme of the cafe (even the restrooms have Eiffel Tower lights). People really trust referrals and what their friends and neighbors have to say about experiencing a local business. Visitors from Europe and international transplants have been particularly appreciative of what Tulla produces. It’s important for someone to enjoy a quality bread and deliver a superior product. We want customers to appreciate the bread completely. Delicious baguettes and freshly-made sandwiches have become popular lunch items alongside fan favorites like the artisan breads and breakfast pastries. Tulla also makes soups from scratch, roasting the necessary ingredients daily and including fresh stock where required. In an effort to balance her experience across the front and back operations of the business, Jennifer also attended coffee school and trained as a barista. On any given day, it could be the owner herself curating and serving up your coffee after she just placed a new round of loaves in the oven. After all of her hard work, Jennifer now feels like she’s living a dream. It’s a bit surreal…and very rewarding. Describing herself as competitive, she wants to offer the best standard that she can execute and for people to walk away remembering not only the taste but a quality experience. One thing you won’t find at Tulla? Wi-Fi. Jennifer wants people to gather with coffees and conversation and connect without technology. She encourages her guests to take time to relax, gather, read, or even people watch. Next time you’re searching for somewhere to meet a friend, try Tulla Patisserie & Cafe and get lost in its French-flavored atmosphere. 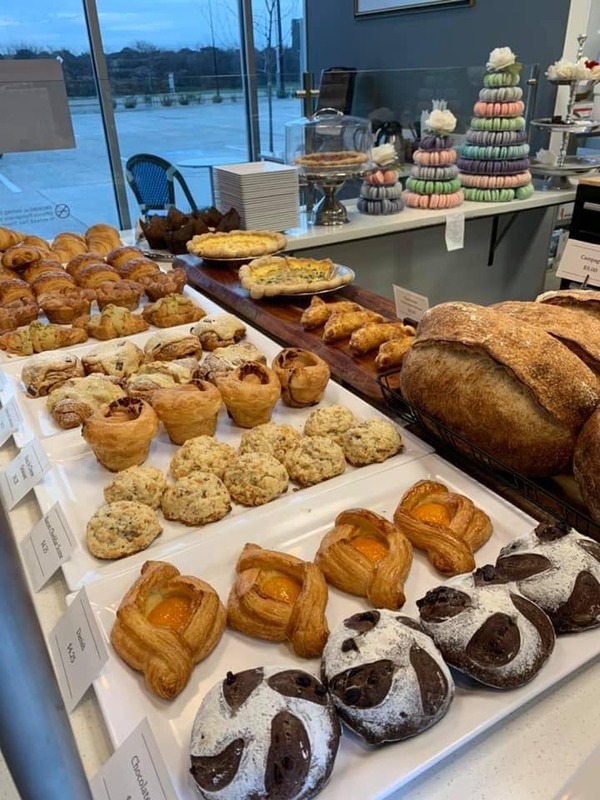 It’s an inviting neighborhood bakery offering a wide variety of breads, pastries, macarons, cakes, and sweet desserts, in addition to made-from-scratch soups, pies, quiches, and seasonal favorites rotated throughout the year.